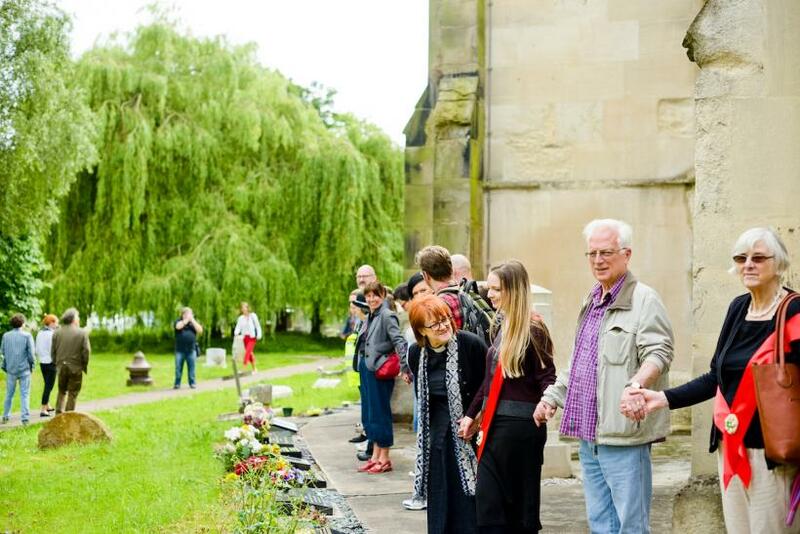 In hindsight, it seems very apt that Tereza Buskova’s ‘Clipping the Church’, a performance where Erdington community members embraced the local St Barnabas Church by holding their hands, took place at the dawn of the Brexit referendum. The performance was not intended to become a political statement but rather an occasion to ponder on the ever changing shape and character of the community; a unit that has evolved since the times when this ritual was first established and involved just a handful of locals. 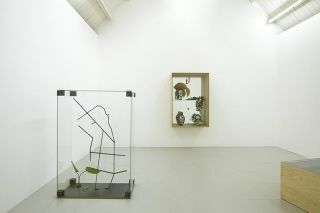 It also proved how big role art can play in the area that is often divided by diverse traditions, languages and religions. As a result, ‘Clipping the Church’ demonstrated the transformations that communities naturally undergo, and ignited a much needed sense of what a unified community can be, when words are left aside in favour of a spirit of simple togetherness. Observing the multicultural inhabitants of this Birmingham district, known for its diverse demographics and troubled social history, one sensed that Tereza’s intention was to cross the multi-ethnic boundaries and to unite the community through this tradition, reimagined in the name of art. 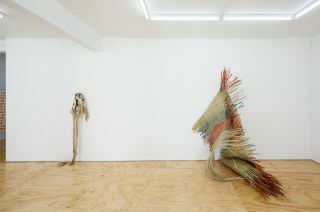 Buskova is a Czech born and Birmingham based artist, whose oeuvre is rooted in Czech rural customs, centred on womanhood and a feminine potency. By reinventing folk rituals through a very personal perspective of being a mother, a woman and an artist, Buskova bridges the past with the present in her colourful spectacles. As a result, the female becomes a mythological symbol of divine powers, regardless of time and place. 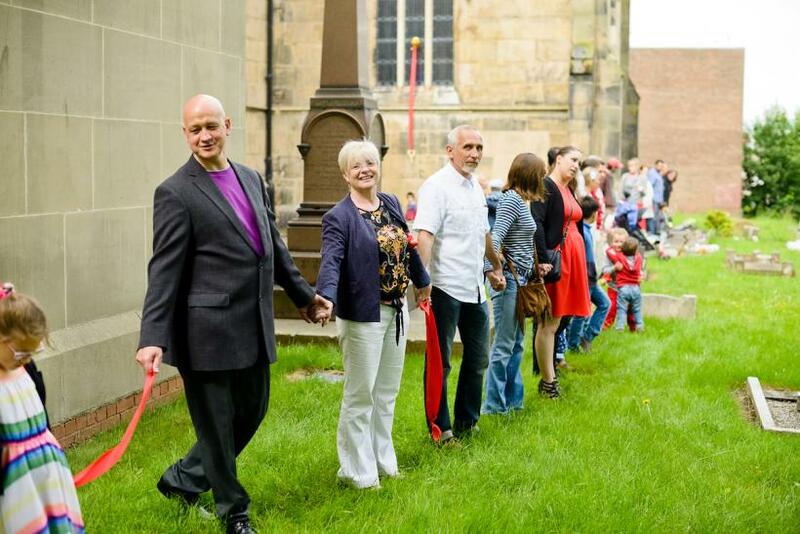 ‘Clipping the Church’ is a project based on an old English tradition, in which parishioners ‘clip’ their local place of worship with hands and bodies, and sing songs of a celebratory nature. 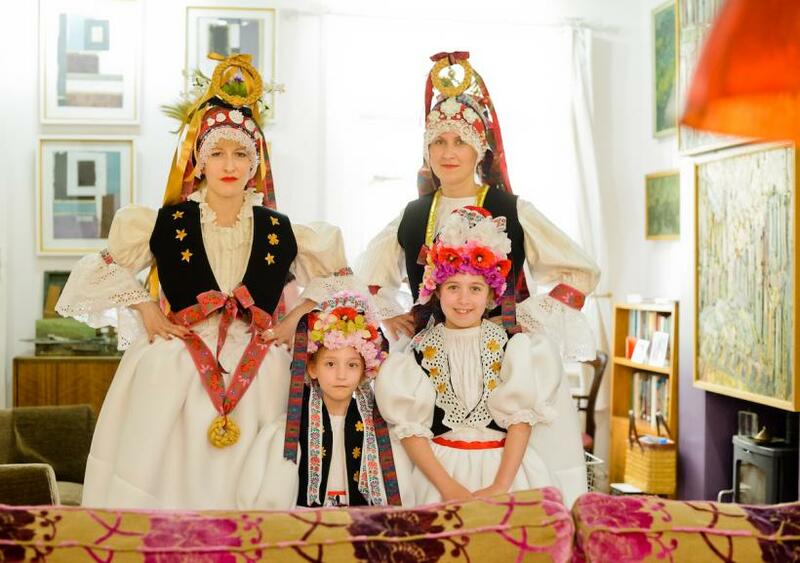 The overarching aspect of this custom is inclusiveness and Buskova married it with the representation of motherhood, expressed by the act of baking and sharing baked goods with family, friends and anonymous members of the community. 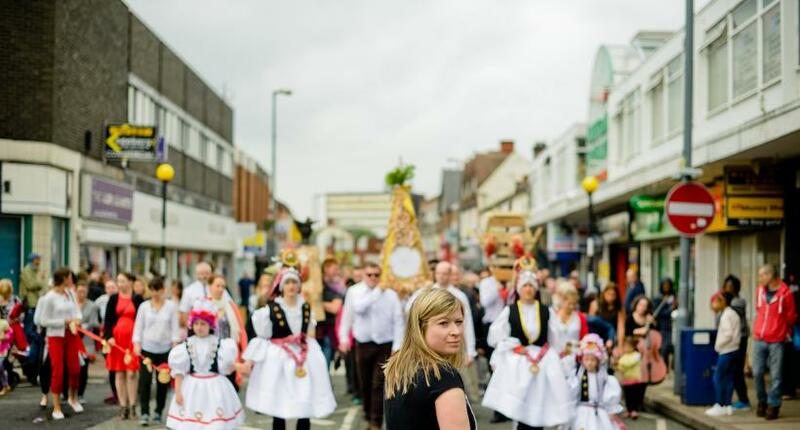 Dressed in traditional Czech outfits, ornate with sensuous red ribbons and elaborate baked accessories, two women led a procession via Erdington’s High Street. Their white skirts were decorated with flowery patterns and bulked around their hips emphasising the connection with Nature and its fertility. It subtly harked back to the history of Erdington, which remained a rural area until recent times. 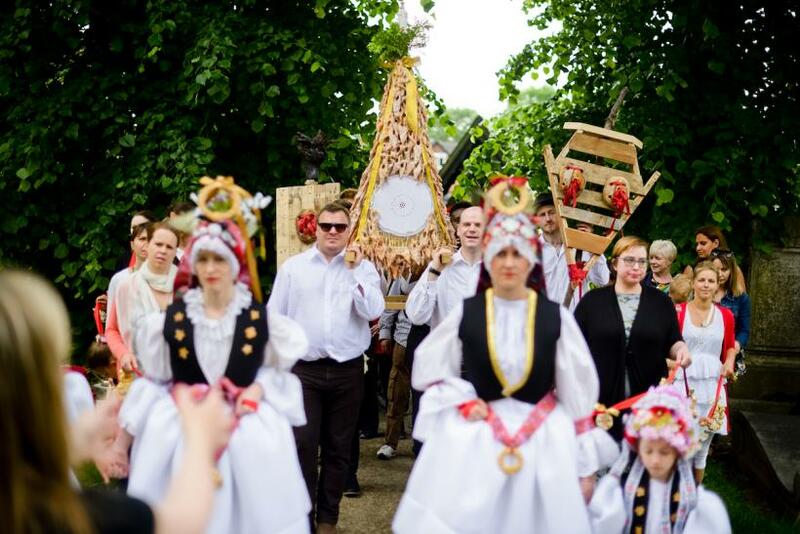 Accompanied by two young girls and followed by a simple wooden frame made of celestial crust (sugary pastries based on an old Czech recipe), topped by a small figurine of Virgin Mary and carried on men’s shoulders, the procession was joined by a multinational crowd, old and young. 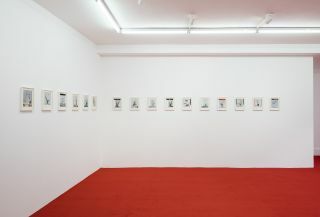 All precincts vanished for the duration of the performance and the lively chatting was underscored by accompanying cello music performed by Bela Emerson, resulting in a festive atmosphere that resonated within the surroundings. One of the most moving and symbolically saturated moments of the procession took place upon its arrival at St Barnabas Church’s gate. There, Frieda Evans, the parish priest and the artist invited the crowd to ‘clip’ the church. Despite its overarching religious connotations, the act of forming a circle around the church added a universal dimension to this Christian custom. The church, decorated all the way around with sourdough breads in elaborate shapes, hanging on red ribbons from the building’s façade echoed the human bonds created beneath. Prepared by Buskova and the community members, this simple bake became a gesture of kindness and generosity. With the act of sharing and consuming the celestial crust, ‘Clipping the Church’ was finalised. The custom was reinvented, becoming not English, not Czech, but an inclusive community act.